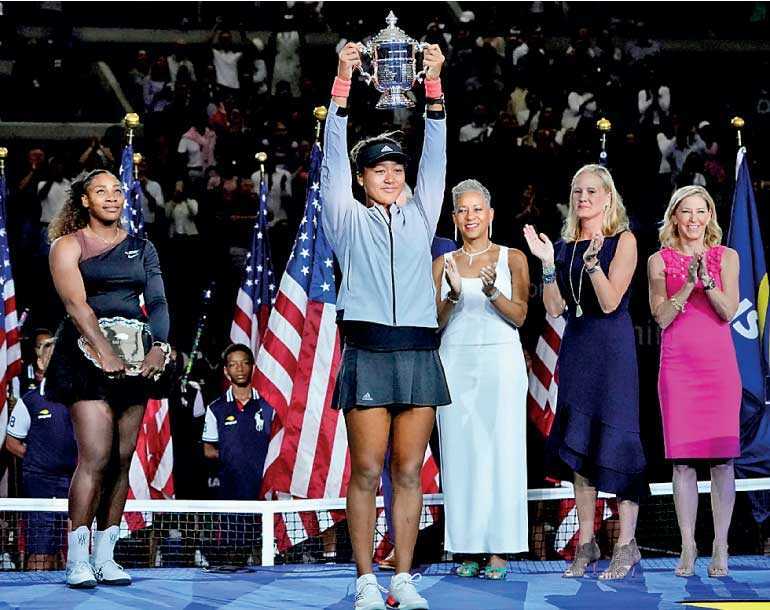 New York (Reuters): Naomi Osaka became Japan’s first Grand Slam singles champion after she thumped Serena Williams 6-2 6-4 in a controversial US Open final on Saturday, with the American suffering a mesmerising meltdown after being handed a code violation. In the end it was Osaka making history, but on a day of bizarre events, her victory will only be a footnote to what is sure to go down as one of the most infamous matches ever played at Flushing Meadows. The chaotic finish filled with screaming, tears, and jeers cast a cloud over what should have been Osaka’s shining moment. 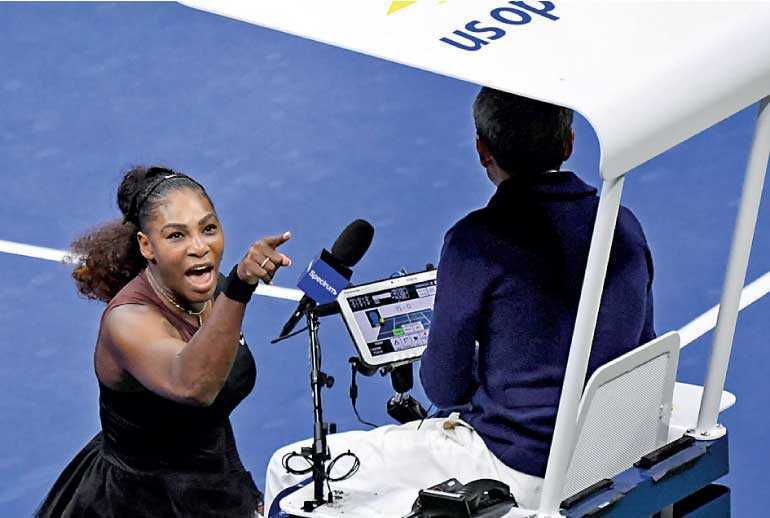 With Osaka in control of the match after taking the first set, Ramos sent Williams into a rage when he handed the 23-time Grand Slam champion a code violation in the second game of the second set, after he spotted the American’s coach Patrick Mouratoglou making some hand signals from the player’s box. 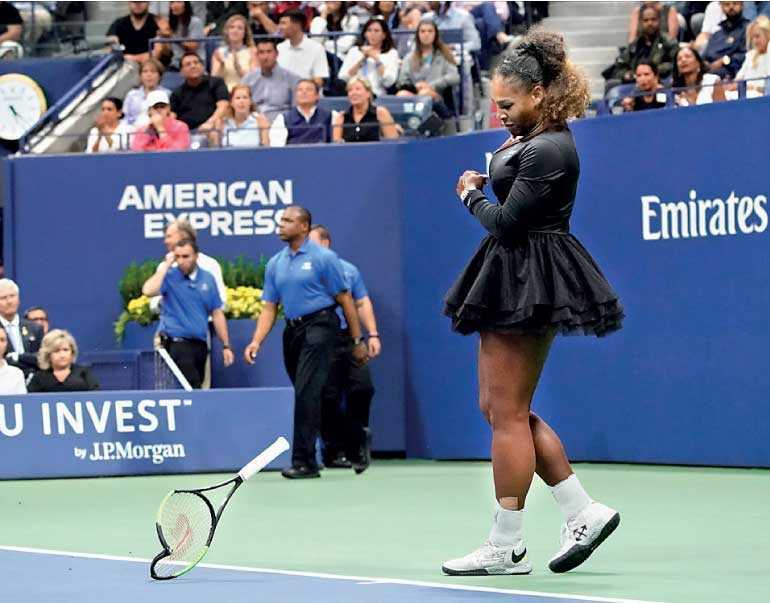 A string of bad behaviour followed from Williams and she went on to incur a point penalty for smashing her racket, before being slapped with a game penalty at 4-3 down after she launched into a verbal attack against Ramos, accusing him of being “a liar” and “a thief for stealing a point from me”. Osaka had given Williams plenty of respect but no other concessions, as she grabbed the early break on a double fault by her idol for a 2-1 first set lead that she would not let go. NEW YORK (Reuters) - Serena Williams has been fined $17,000 for the code violations she received during the US Open final, the United States Tennis Association (USTA) said on Sunday.